Facebook is cracking down on Pages that try to trick their way into your News Feed. Today it announced a feed algorithm change for Pages that gives more visibility to timely, relevant, sharable content from trusted sources. Meanwhile, it punishes Pages that ask people to Like their posts and that post “low-quality” memes. The update could drive more traffic to reputable Pages while strangling spammers. Earlier this month Facebook announced that it would start publicizing changes to the News Feed. It revealed that there are hundreds of thousands of signals taken into account when customizing the feed for each person. Instead of tuning the algorithm quietly, Facebook decided that the impact on users and businesses is so large that it’s best to be transparent and explain the changes in detail. The first set of changes were focused on content from friends. These included Story Bumping to make sure you don’t miss great posts, Last Actor to show you more about people you’ve recently interacted with, and Chronological By Actor, which is still in testing but could help people follow along with real-time updates. Now Facebook is focusing on how Pages appear in the feed, a more sensitive topic because so many businesses have grown to depend on the News Feed for content. Many Page admins vocally criticized Facebook for starting to ask them to pay to reach their existing fans. Much of the fervor stemmed from Facebook simultaneously getting more stringent about demoting spammy posts. The problem was that Facebook wasn’t up-front about these changes, leading to rampant speculation that it was trying to extort Pages by not showing them in the feed unless they paid. By being clear about what’s going on this time, Facebook should avoid much of the backlash. Would you call this a low-quality post or meme? It took the user feedback and built a better machine-learning algorithm that can distinguish between high- and low-quality posts, and then show the best ones higher in the feed. Facebook says that in its tests of the changes, “we saw a significant increase in interactions (likes, comments, shares) with this content” and “People in the test group also hid fewer stories overall”. That showed the algorithm tweaks were a success so it will begin rolling out the update over the next few weeks. 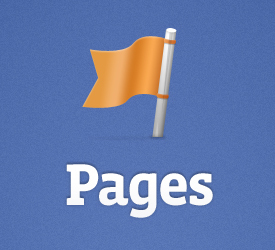 Facebook says the impact should be minor for most Pages. In general Pages should focus on a strategy of posting great, engaging content that doesn’t use dirty tricks to get Likes. And that should mean that more of what you see in your News Feed is worth your precious attention.